On this day in history, July 20, 1775, patriots destroy the Boston Lighthouse. Boston's lighthouse, also called Boston Light, is a still standing structure that was the first lighthouse ever built in what would become the United States. 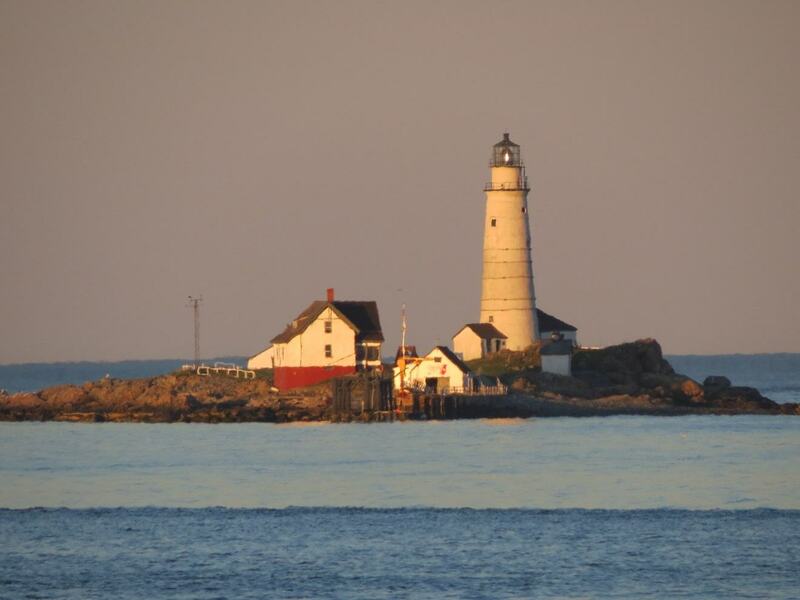 Boston Light was built on Little Brewster Island in Boston Harbor in 1716. When the American Revolution came, the islands in Boston's harbor were the site of several skirmishes between patriots and British soldiers and sailors. The British took over Boston Light in 1774. Throughout the British occupation of Boston, the harbor was in British control. In July of 1775, local Massachusetts patriots decided to destroy the lighthouse to prevent the British from benefitting from its use. On July 20, Major Joseph Vose led a raid on the island with a small group of soldiers. Only a small British contingent guarded the lighthouse and they were quickly overrun. Vose burned the wooden parts of the lighthouse and captured the island's provisions. Only two Americans were injured in the skirmish. The British rebuilt the lighthouse within a matter of days and it was operational again by the 29th. George Washington issued orders for another attack on the lighthouse, which commenced on the morning of July 31st. Again, the small British guard was overtaken and the lighthouse burned to the ground. As the patriots escaped, they were attacked by British ships and a firefight began. One lucky hit on a British boat killed several sailors, raising the number of British casualties in the fight to 12. Only one American was killed in the fight. The British abandoned Boston in March, 1776, when Washington fortified Dorchester Heights above the city with captured cannons brought from Fort Ticonderoga. After the evacuation, several British ships remained in the harbor for some time. On June 13, American patriots began firing on the remaining ships. As they left the harbor for good, the British set a timed charge in Boston Light, blowing up the lighthouse for good. Boston Light was rebuilt in 1783 by order of the Massachusetts Legislature to its original height of 75 feet. This lighthouse is still standing today, although its height was raised to 98 feet in 1856. 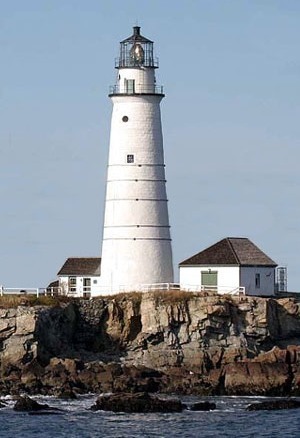 Boston Light was taken over by the federal government in 1790. The lighthouse was fully automated in 1998, but still has watchkeepers that man the site as tour guides. As such, it is the only manned lighthouse in the US under direction of the US Coast Guard.